Below you can view all the townhomes for sale in the Willowbrook subdivision located in Clayton North Carolina. 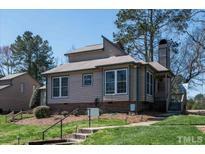 Listings in Willowbrook are updated daily from data we receive from the Raleigh multiple listing service. To learn more about any of these townhomes or to receive custom notifications when a new property is listed for sale in Willowbrook, give us a call at 919-759-5754. OPEN SPLIT BEDROOM FLOOR PLAN *ADDITIONAL PARKING ON REAR OF LOT *GRANITE TOPS AND BAR IN KITCHEN *HARDWOOD FLOORING *HIS AND HER SINKS PLUS TUB/SEPARATE SHOWER IN MASTER SUITE *HOA Dues cover the Exterior, Roof, Yard, Insurance on Home, and much more ! 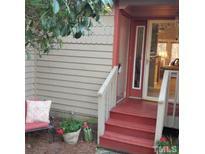 MLS#2246788. 1197.
on home, termite protect, pool, tennis. A GEM of a home! MLS#2245091. 1720. This is a dream come true for the lucky buyer. MLS#2242439. 1709. Conv to golf, shopping, dining & entertainment! MLS#2242323. 2503. HOA dues act as a homeowners insurance policy MLS#2240968. 3894.